All hail Pixar and their incomparable ability to make hits. And I don’t say that with any cynicism, Pixar really is a god among film studios, animated or otherwise, controlled by Disney or not. Where else can you find so many films that use so little to achieve so much? Filmmakers all over the world stumble over their own feet attempting to make sense of time, space, character, plot, motivation, and depth, while Pixar churns out near-perfect products that gather together everything audiences want, set aside the filler, make us cry, and leave us thirsty for more. You could search a long time looking for what this company can do so easily, which isn’t to say what they do is basic, but rather brilliant in its simplicity, stunning in its honestly, and beautiful all the way though. Finding Dory is just the latest success in a long line of them, films that don’t need fireworks, movies that work by magic. After the events of Finding Nemo (and if reading about them is a spoiler, you’ve definitely been living under a rock, probably one very far away from both civilization and the undersea world), Marlin, Nemo, & Dory live happy lives on the reef, glad to be together as a family. 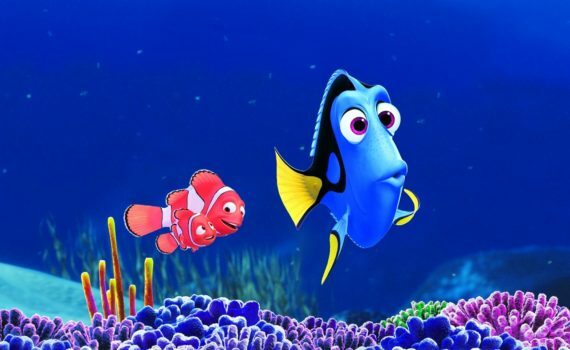 But Dory still battles daily with short term memory loss, wondering if some day she’ll forget her new loved ones the way she once lost her old. This sparks a desire in Dory, a need to learn the truth, to find her parents, to finally understand where she comes from. So, the trio set out on an adventure across the open ocean, this time with some help right away from their tubular turtle friends. They find themselves in California hot on the trail of Dory’s past, a flotilla of fleeting memories that begin coming with more frequency as she gets closer & closer to home. Nemo, like WALL-E, struck gold with the most simple of concepts; great characters makes great films. It’s that easy, and Pixar displays this idea time & time again to our enormous delight. Very little musical frill, no royalty on grand missions, not even a human centerpiece; these movies work because we fall in love with the main characters, their sidekicks, and the wonderful personalities they encounter. We need nothing else other than a pleasant story and a vivid landscape, the characters doing the rest where live-action actors would fail miserably. 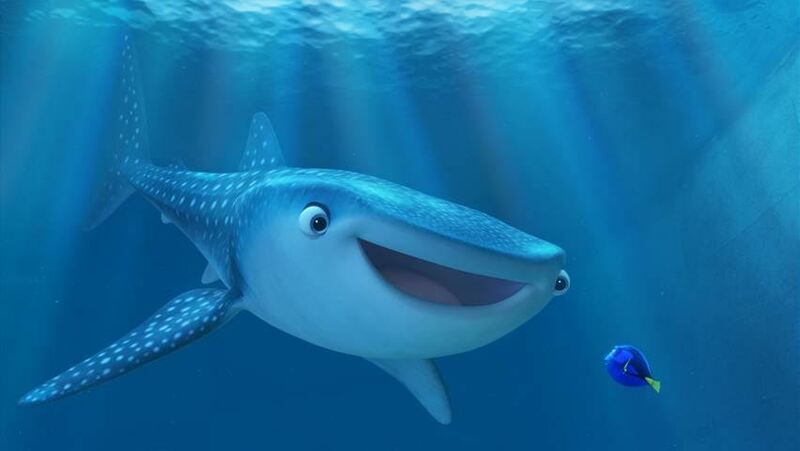 And that’s part of the secret, let’s not ignore that, the animation of Finding Dory & others like it is so fantastic that it blows our minds a little, stuns us into watching with rapt attention. But there’s so much more than just CGI here, or so much less, as it were, lovable characters stealing our hearts too swiftly to feel, never relying on pizzazz to keep us focused for those 90 minutes. Dory works because of this formula, but this universe works so well also in part because of the voices that we now will never be able to divorce from these fish. The one-and-only Ellen as Dory wowed in the first, but takes on a much more difficult task in the second, winning us twice-over. Albert Brooks takes a step back as Marlin, becoming a secondary figure, but still remains a solid piece of the story. 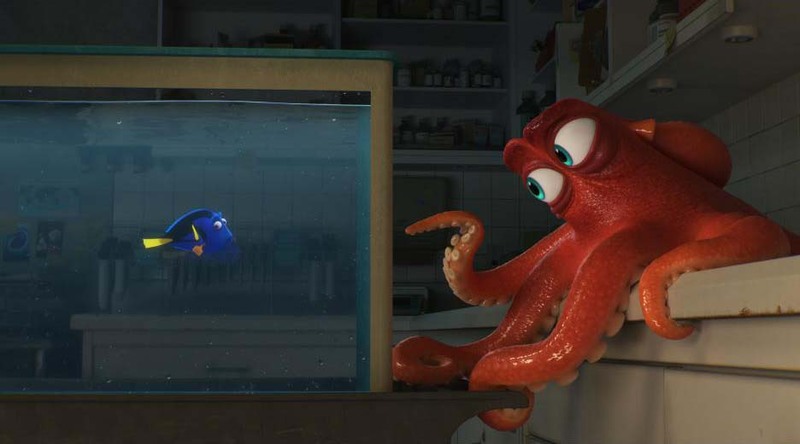 And the additions to this film really make a big difference: Ed O’Neill as an octopus, Ty Burrell & Kaitlin Olson as a whale & whale shark, Eugene Levy & Diane Keaton as Dory’s parents, Idris Elba & Dominic West as grumpy, cockney seals, Bill Hader & Kate McKinnon as fishers-by, Sigourney Weaver as …Sigourney Weaver. It’s an amazing cast, wonderful animation, phenomenally detailed backdrop, cool story, and in the end a movie that’s basically as good as the original.